The Fanatic Friday Winner is…..
[article] An update on Cloud donations for Japan thus far. [article] An update on Cloud donations for Japan thus far.. The Cloud, singer Rain’s official fan club, has conducted a charity campaign to help the earthquake victims in Japan. They have raised the donated fund so far that is approaching more than 15 million won with the result that they have conducted the campaign through their website since, from the 13th through the morning of the 16th. 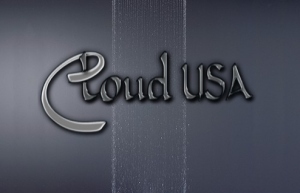 The Cloud fan club is comprised of membership members from 12 countries such as USA, Canada, German, Poland, Japan, China, Hong Kong, Vietnam. Philippine, Malaysia, etc. including South Korea, and the total of the donations raised through the movement will go to Good Neighbors, one of International Aid agencies. Rain felt apprehension of his more than 3,000 Japanese fan club members, including the earthquake victims in that country, and gave them words of encouragement through the website. Meanwhile, The Cloud, Rain’s fan club, is more than willing to do the beautiful ways they can help others. They’ve done various voluntary activities since they volunteered for the medical and educational service activities at children’s centers in 2008. Last year, they delivered around 12 million won worth of the raised collections.